To add further gravitas to campaign’s work on deinstitutionalisation in Europe, in February 2017, Croatia has become the 16th country participating in the pan-European campaign “Opening Doors to Europe’s Children”. In December 2016, the campaign has already expanded its reach from 12 to 15 countries, following the launch of campaign’s Phase II. The overall aim of the campaign is to support national efforts to develop child protection systems that strengthen families and ensure high-quality family and community-based alternative care for children, by leveraging EU funding and policy and building capacity in civil society. 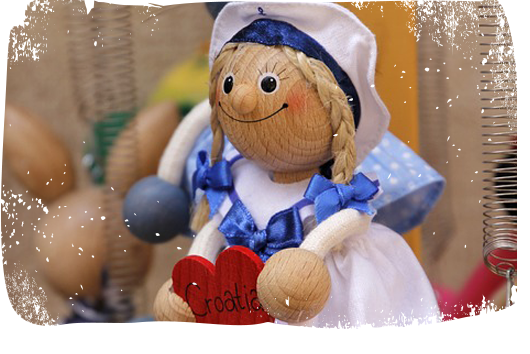 In Croatia, campaign will strive to advocate for strengthening and improving family- and community-based services, change in national policy and public spending. According to Ljiljana Ban, President of FICE Croatia and campaign’s national coordinator in Croatia, “Our first national priority is to build the network of partners around campaign on the ground and to promote the importance of civil society involvement. Local and national NGOs have a fundamental role to play in planning and delivery of the national reforms. With the right know-hows and available resources, civil society can become a strategic partner to the government to implement deinstitutionalisation strategy.” National organisations that have already committed support to the campaign include SOS Children’s Village Croatia, Udruga za kreativan socijalni rad, Udruga Ardura, Forum za kvalitetno udomiteljstvo – udomitelji za djecu, Igra – udruga za pružanje rehabilitacijsko-edukacijske i psiho-socijalno-pedagoške pomoći and Suncokret-OLJIN. “The process of deinstitutionalisation in Croatia started in 2011 when the Plan for deinstitutionalisation and transformation of social welfare and other legal entities providing social care services in the Republic of Croatia for 2011-2018 has been adopted. Although many positive developments have been achieved since then, the entire process is still falling behind the schedule, especially with regards to the development of the new social services in local communities and further development of the foster care system as the only option for children under the age of 7. Deinstitutionalisation has been a key consideration in relation to Croatia’s accession to the European Union in 2013. Now, with the support of national partners, hopes are high for Croatia to deliver its commitments and actions in fulfilling the rights of the vulnerable children and families through leveraging existing EU policy recommendations and coordination tools, as well as EU funding programmes,” says Katerina Nanou, Opening Doors campaign coordinator. Find out more about national coordinator in Croatia here.